First Time DUI: Do I Really Need A Drunk Driving Lawyer? San Diego residents often call me for their free phone consultation after being charged with their first drunk driving offense. At the end of the call, the person often says, “I have been talking to my friends and I just don’t know if I need an attorney on a simple misdemeanor DUI.” Here’s my answer: You absolutely need an attorney! Any time you are charged with a crime, whether it’s drunk driving, domestic violence, or murder, you must have an advocate on your side. First off, all criminal matters are very serious. Regardless of whether your case is a misdemeanor or a felony, it can impact your criminal record throughout your lifetime. Your record influences the jobs and promotions you may seek, your housing, loans, and many other aspects of your life that you will not realize until you are getting a background check done. Don’t you want to try to get the charges dismissed or reduced and your penalties lessened? A criminal defense attorney knows the law and protects your rights. 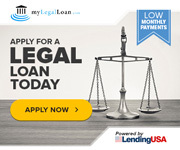 In addition, the lawyer knows the system, how it works and what to expect. With the attorney’s legal insight, discovery is requested and then reviewed to look for issues with the case which can lead to reduced charges and possibly even a dismissal of your case. If you don’t hire an attorney, would you know what defenses are available to you? Would you be able to review your discovery packet to look for issues the prosecutor will have proving their case? Would you know if you have any motions to file to challenge the State’s evidence, or if your case is worth a trial? Do you know what a fair offer is on your particular case? Do you know what things the prosecutor and judge want to hear about you and the facts of your case that can persuade them to reduce the charges or lighten the sentence? The Law Offices of Susan L. Hartman partners with our clients to ensure you fully understand the case and all your legal options, thus reducing the stress of going through the process alone. And, if the matter is charged as a misdemeanor, most cases can be handled without you ever stepping foot into the courtroom. We spend time getting to know you so we can make you a person to the prosecutor and the judge, so you are not just another driving under the influence case. By doing this, we are better prepared to negotiate with the prosecutor. And, we are trained and experienced in conducting hearings and trials, so if your case needs to be litigated, you have someone who can argue the law on your behalf. 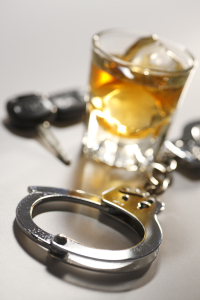 If you, or someone you know, has been charged with even a “simple misdemeanor DUI,” let us help you. Call the Law Offices of Susan L. Hartman now for your free consultation: (619) 260-1122.